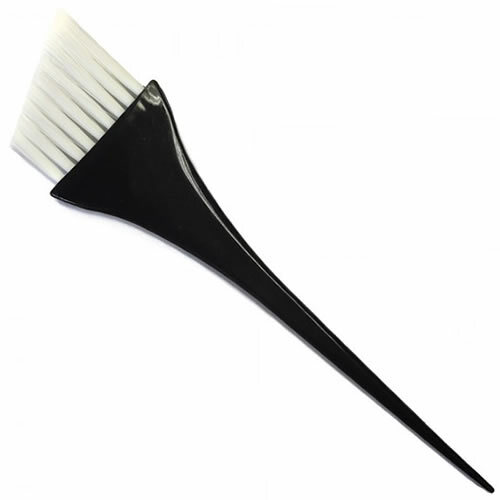 The Hair Tools Balayage Angled Tint Brush has flexible nylon bristles that have been cut at an angle to give you better control when applying colour during a balayage service. The tapered handle can also be used as a sectioning tool. £0.60 (inc. VAT) Why no VAT? We're a trade wholesaler and quote our prices without VAT to help our VAT-registered customers understand the true cost of a purchase. Balayage tool with a slightly curved edge for precise application and one textured side and one smooth side for versatility. Comes in 2 sizes: Standard or Extra Long. Ultra-compact white lightening powder that's been designed specifically for today's modern, open air lightening techniques. Infused with Pro-Keratin and offers up to 6 levels of lift. Comes in a 350-gram tub.